Use the IQS (SQS) to make intermediate-level queries on the DR7 CAS database for objects in the DR7 imaging (spectroscopic) sample. Which spectroscopic and/or imaging parameters do you want returned from your query? Which spectroscopic parameters do you want returned from your query? primTarget int 4 CODE_MISC Specifies which primary target catagories the object was selected in. secTarget int 4 CODE_MISC Specifies which secondary target catagories the object was selected in. seguePrimTarget int 4 CODE_MISC Specifies which SEGUE primary target catagories the object was selected in. segueSecTarget int 4 CODE_MISC Specifies which SEGUE secondary target catagories the object was selected in. otherPrimTarget int 4 CODE_MISC Specifies which other program primary target catagories the object was selected in. otherSecTarget int 4 CODE_MISC Specifies which other program secondary target catagories the object was selected in. Which imaging parameters do you want returned from your query? Note: "Target Imaging" refers to the imaging data (run) and/or processing (rerun) combination used in selecting targets for spectroscopic followup; "Best Imaging" refers to the "latest and greatest" run/rerun combination and therefore generally supersedes the run/rerun combination of "Target Imaging". Caveat: In rare instances the "Best Imaging" object matched to a spectrum may NOT correspond to the original "Target Imaging" object. For example, this may occur when there were deblending problems in the "Target Imaging", such as when a bright off-center HII region was targeted instead of the parent galaxy, and where that HII region is then properly treated in the "Best Imaging" and is no longer a cataloged object. When in doubt, please compare the magnitudes and coordinates of the "Target Imaging" and "Best Imaging" objects. The SDSS name is generated with a call to the function fIAUFromEq. objID bigint 8 ID_MAIN Unique SDSS identifier composed from [skyVersion,rerun,run,camcol,field,obj]. obj smallint 2 ID_NUMBER The object id within a field. Usually changes between reruns of the same field. mode tinyint 1 CLASS_OBJECT 1: primary, 2: secondary, 3: family object, 4: outside chunk boundary. nChild smallint 2 NUMBER Number of children if this is a composite object that has been deblended. BRIGHT (in a flags sense) objects also have nchild == 1, the non-BRIGHT sibling. type smallint 2 CLASS_OBJECT Morphological type classification of the object. clean int 4 CODE_MISC Clean photometry flag for point sources (1=clean, 0=unclean). probPSF real 4 STAT_PROBABILITY Probability that the object is a star. Currently 0 if type == 3 (galaxy), 1 if type == 6 (star). rowv real 4 deg/day POS_ANG_VEL Row-component of object's velocity. colv real 4 deg/day POS_ANG_VEL Column-component of object's velocity. sky_u real 4 maggies/arcsec^2 INST_SKY_LEVEL Sky flux at the center of object (allowing for siblings if blended). sky_g real 4 maggies/arcsec^2 INST_SKY_LEVEL Sky flux at the center of object (allowing for siblings if blended). sky_r real 4 maggies/arcsec^2 INST_SKY_LEVEL Sky flux at the center of object (allowing for siblings if blended). sky_i real 4 maggies/arcsec^2 INST_SKY_LEVEL Sky flux at the center of object (allowing for siblings if blended). sky_z real 4 maggies/arcsec^2 INST_SKY_LEVEL Sky flux at the center of object (allowing for siblings if blended). probPSF_u real 4 STAT_PROBABILITY Probablity object is a star in each filter. probPSF_g real 4 STAT_PROBABILITY Probablity object is a star in each filter. probPSF_r real 4 STAT_PROBABILITY Probablity object is a star in each filter. probPSF_i real 4 STAT_PROBABILITY Probablity object is a star in each filter. probPSF_z real 4 STAT_PROBABILITY Probablity object is a star in each filter. primTarget int 4 CODE_MISC Bit mask of primary target categories the object was selected in. secTarget int 4 CODE_MISC Bit mask of secondary target categories the object was selected in. seguePrimTarget int 4 CODE_MISC Bit mask of SEGUE primary target categories the object was selected in. segueSecTarget int 4 CODE_MISC Bit mask of SEGUE secondary target categories the object was selected in. If you plan to feed the results of this form query to the Data Archive Server (DAS) data retrieval webform to get the FITS files corresponding to the selected objects, which filters (if any) do you want fed to the subsequent DAS webform query? Note that you must also include the run, rerun, camcol, field and obj columns in your output for DAS retrieval. These columns are included in the minimal output parameter selection. You must also select CSV output format and save the output to a file on your local system, then upload this file to the DAS by entering its name in the DAS form (under Step 3 "...select file to upload"). Which positional constraints (if any) do you want applied to your query? Do you wish to search a rectangular box in ra and dec? Do you wish to search a circle on the sky centered on a single ra and dec? For a given RA and DEC, the cone search returns all objects within the search radius that meet your search constraints. Do you want to search the proximities for a list of ra's and dec's? For a given RA and DEC, the proximity search returns the closest object within the search radius that meets your search constraints. Do you want to apply no positional constraints in your query? CAVEAT EMPTOR: This will result in a search over the entire database, which will probably take a very long time to finish (and slow other users down). Please be sure that this is what you want to do, or at least select a limited number of objects to return. Which spectroscopic constraints (if any) do you want applied to your query? Do you want to search over a given range of redshift and redshift confidence? Redshifts less than zero are possible (e.g., for stars), as are redshifts greater than 5 (some QSOs, but also objects with poorly measured redshifts). Valid ranges for redshift confidence are from 0 (poor) to 1 (excellent). Setting a minimum redshift confidence of 0.95 is typical for selecting good galaxy and/or QSO redshift samples. What type of objects (as automatically classified by their spectra) do you want returned from your query? UNKNOWN 0 Spectrum not classifiable (zConf < 0.25). STAR 1 Spectrum of a star. GALAXY 2 Spectrum of a galaxy. QSO 3 Spectrum of a quasi-stellar object. HIZ_QSO 4 Spectrum of a high-redshift quasar (z>2.3), whose redshift is confirmed by a Ly-alpha estimator (see "Spectroscopic Redshift and Type Determination" section in Algorithms). SKY 5 Spectrum of blank sky. STAR_LATE 6 Star dominated bt molecular bands M or later. GAL_EM 7 Emission line galaxy (placeholder). Which imaging constraints (if any) do you want applied to your query? You may constrain your search using either the values of the imaging parameters used in spectroscopic target selection ("Target") or the "latest and greatest" values of the imaging parameters ("Best"). See also the glossary item for Sky Version . Important: Please read the documentation on "Which magnitude should I use?" Do you want to search over given range in u, g, r, i, and/or z magnitudes? Do you want to search over given range in u-g, g-r, r-i, and/or i-z colors? Which set of object flags (from photo) do wish to query on? These flags are discussed in more detail in the document "Understanding the SDSS Image Data Processing Flags". CANONICAL_CENTER 0x0000000000000001 Measurements used the center in r*, rather than the locally determined center. BLENDED 0x0000000000000008 Object had multiple peaks detected within it; was thus a candidate to be a deblending parent. CHILD 0x0000000000000010 Object is the product of an attempt to deblend a BLENDED object. PEAKCENTER 0x0000000000000020 Given center is position of peak pixel, rather than based on the maximum-likelihood estimator. NODEBLEND 0x0000000000000040 No deblending was attempted on this object, even though it is BLENDED. NOPROFILE 0x0000000000000080 Object was too small or too close to the edge to estimate a radial profile. NOPETRO 0x0000000000000100 No valid Petrosian radius was found for this object. MANYPETRO 0x0000000000000200 More than one Petrosian radius was found. NOPETRO_BIG 0x0000000000000400 Petrosian radius is beyond the last point in the radial profile. DEBLEND_TOO_MANY_PEAKS 0x0000000000000800 There were more than 25 peaks in this object to deblend; deblended brightest 25. COSMIC_RAY 0x0000000000001000 Contains a pixel interpreted to be part of a cosmic ray. MANYR50 0x0000000000002000 Object has more than one 50% light radius. MANYR90 0x0000000000004000 Object has more than one 90% light radius. BAD_RADIAL 0x0000000000008000 Some of the points in the given radial profile have negative signal-to-noise ratio. Not a significant parameter. INCOMPLETE_PROFILE 0x0000000000010000 Petrosian radius intersects the edge of the frame. INTERP 0x0000000000020000 Object contains one or more pixels whose values were determined by interpolation. 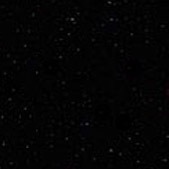 NOTCHECKED 0x0000000000080000 There are pixels in the object which were not checked to see if they included a local peak, such as cores of saturated stars. BADSKY 0x0000000000400000 The sky level is so bad that the highest pixel in the object is very negative; far more so than a mere non-detection. No further analysis is attempted. PETROFAINT 0x0000000000800000 At least one possible Petrosian radius was rejected as the surface brightness at r_P was too low. If NOPETRO is not set, a different, acceptable Petrosian radius was found. TOO_LARGE 0x0000000001000000 The object is too large for us to measure its profile (it extends beyond a radius of approximately 260), or at least one child is larger than half a frame. DEBLEND_PRUNED 0x0000000004000000 At least one child was removed because its image was too similar to a supposedly different child. ELLIPFAINT 0x0000000008000000 Object center is fainter than the isophote whose shape is desired, so the isophote properties are not measured. Also flagged if profile is incomplete. BINNED2 0x0000000020000000 Object was detected in 2x2 binned image, after unbinned detections are replaced by background. MOVED 0x0000000080000000 The deblender identified this object as possibly moving. DEBLENDED_AS_MOVING 0x0000000100000000 A MOVED object that the deblender treated as moving. NODEBLEND_MOVING 0x0000000200000000 A MOVED object that the deblender did not treat as moving. TOO_FEW_DETECTIONS 0x0000000400000000 A child of this object was not detected in enough bands to reliably deblend as moving. BAD_MOVING_FIT 0x0000000800000000 Moving fit too poor to be believable. STATIONARY 0x0000001000000000 This object was consistent with being stationary. PEAKS_TOO_CLOSE 0x0000002000000000 At least some peaks within this object were too close to be deblended, thus they were merged into a single peak. MEDIAN_CENTER 0x0000004000000000 Center given is of median-smoothed image. LOCAL_EDGE 0x0000008000000000 Center in at least one band is too close to an edge. BAD_COUNTS_ERROR 0x0000010000000000 An object containing interpolated pixels had too few good pixels to form a reliable estimate of its error; the quoted error may be underestimated. BAD_MOVING_FIT_CHILD 0x0000020000000000 A possible moving child's velocity fit was too poor, so it was discarded and the parent was not deblended as moving. DEBLEND_UNASSIGNED_FLUX 0x0000040000000000 After deblending, a significant fraction of flux was not assigned to any children. SATUR_CENTER 0x0000080000000000 Object center is close to at least one saturated pixel. INTERP_CENTER 0x0000100000000000 Object center is close to at least one interpolated pixel. DEBLENDED_AT_EDGE 0x0000200000000000 An object close enough to the edge of the frame normally not deblended, is deblended anyway. Only set for objects large enough to be EDGE in all fields/strips. DEBLEND_NOPEAK 0x0000400000000000 There was no detected peak within this child in at least one band. PSF_FLUX_INTERP 0x0000800000000000 Greater than 20% of the PSF flux is from interpolated pixels. TOO_FEW_GOOD_DETECTIONS 0x0001000000000000 A child of this object had too few good detections to be deblended as moving. CENTER_OFF_AIMAGE 0x0002000000000000 At least one peak's center lay off of the atlas image. This can happen when the object is deblended as moving, or if the astrometry is bad. DEBLEND_DEGENERATE 0x0004000000000000 Two or more candidate children were essentially identical; one one was retained. BRIGHTEST_GALAXY_CHILD 0x0008000000000000 This child is the brightest family member (in this band) that is classified as a galaxy. CANONICAL_BAND 0x0010000000000000 This is the 'canonical' band; r unless the object is undetected in the r filter. AMOMENT_FAINT 0x0020000000000000 Object was too faint to measure weighted moments such as mE1_g; unweighted values are reported. AMOMENT_SHIFT 0x0040000000000000 Centroid shift too large when measuring adaptive moments. Row/Column shifts are reported in mE1, mE2. AMOMENT_MAXITER 0x0080000000000000 Maximum number of iterations exceeded measuring e.g. mE2_g; unweighted values are reported. MAYBE_CR 0x0100000000000000 There is reasonable suspicion that this object is actually a cosmic ray. MAYBE_EGHOST 0x0200000000000000 There is reasonable suspicion that this object is actually a ghost produced by the CCD electronics. NOTCHECKED_CENTER 0x0400000000000000 The center of this object lies in a region that was not searched for objects. OBJECT2_HAS_SATUR_DN 0x0800000000000000 The electrons in this saturated object's bleed trails have been included in its estimated flux. OBJECT2_DEBLEND_PEEPHOLE 0x1000000000000000 Deblend was modified by the deblender's peephole optimiser.